Dr Charles Boltwood (1889-1985) was Primus of the Free Protestant Episcopal Church and Rector of St Andrew’s Ecumenical Church Foundation Intercollegiate. Boltwood was born in Chelmsford. Little is known of his early years, except that he wrote fifty years later of having seen action in the First World War, and that “on the eve of the declaration of war, [my fiancee and I] sat together in the gardens at St Edmundsbury and read together the ninety-first psalm – truly every promise therein was fulfilled for us.” Although their wedding plans were postponed by his war service, he and his wife Frances (known as Mary Angela), who was an Archdeaconess of the FPEC, would later celebrate their golden wedding anniversary. Between 1937 and 1941, under the pseudonym “Crusader”, he published six books through a small press in Thorpe-le-Soken that he claimed to consist of spiritual revelations transmitted to him by the late writer and social reformer Charles Kingsley, who had died in 1875. In 1942, Boltwood began his educational work by founding the College of Spiritual Science, an alternative body that trained spiritual healers, psychotherapists and thalamopathists (a therapy involving the use of coloured lenses). At some point between 1946 and 1949, his work brought him into contact with Mar Georgius, and he was ordained and consecrated bishop within the Catholicate of the West, though by whom and exactly when is not known. In 1950, Boltwood came into contact with the Free Protestant Episcopal Church of England when he took a Bachelor of Divinity course at its Nazarene College under the then-Primus William Hall. The FPEC had been founded in 1897 as the fusion of three small churches; the Nazarene Episcopal Ecclesia, founded in 1873 and based in a church on Kent House Road, Sydenham (its founder, James Martin (1843-1919), had also established the Nazarene College in 1890 from his home in Flaxman Road, Brixton), the Free Protestant Church of England (established in 1889 by the expatriate Armenian chorbishop Leon Checkemian (1848-1920)), and the Ancient British Church, which was the continuation of the 1866 Syrian-authorized mission of Mar Julius of Iona (Ferrette) under his eventual successor Charles Isaac Stevens (Mar Theophilus) (1835-1917). The latter two bodies were already in a concordat relationship dating from 1890. The mission of the FPEC was to act as a reunion church among the various Protestant bodies, possessing valid Catholic sacraments and thus avoiding the objections raised by the Holy See to the Holy Orders of the Church of England. The 1662 Book of Common Prayer was the normative liturgy, while the 1878 Constitution and Canons of the Reformed Episcopal Church in Great Britain were adopted. Checkemian was elected the first Primus as Mar Leon, and the Pro-Cathedral of the church was St Stephen’s Church, East Ham. In 1900, Checkemian retired from the Primacy in favour of Stevens, also passing to him the headship of the United Armenian Catholic Church of the British Isles, a body for Armenian expatriates that he had founded in 1889. In 1917 the FPEC was legally recognized by the English courts when one of its clergymen was declared exempt from military service by virtue of his ordination. Between 1909, when St Stephen’s was sold to a Spiritualist group, and 1919, the FPEC reverted to the church in Kent House Road as its place of worship. In the latter year, the mission church of St Andrew, at 26 Speldhurst Road, Hackney (known as the Church of Martin Luther), was acquired and was pastored by Stevens’ eventual successor, Andries Caarel Albertus McLaglen (1851-1928) until his death. The church then passed to the Rev. 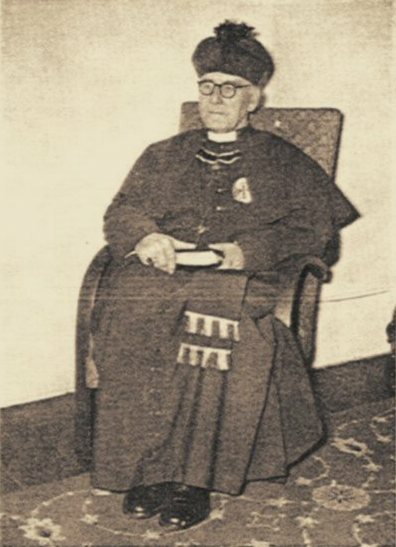 William Hall (1890-1959) of the FPEC, who had been ordained priest by Martin in 1915, and was also chaplain to Abney Park cemetery. In 1936, St Andrew’s Hackney was demolished as part of a housing development, and Hall purchased the former Primitive Methodist church in Stonebridge Road, Tottenham, which was renamed St Andrew’s Church in turn (pictured above). 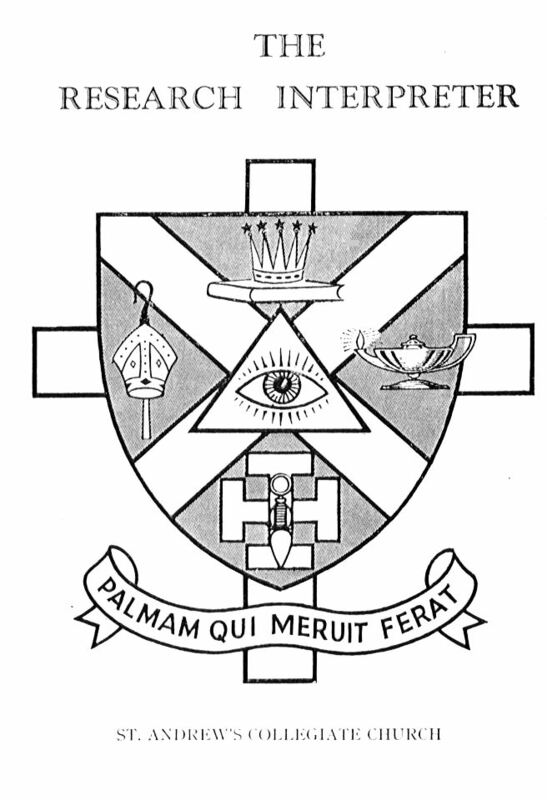 Meanwhile, McLaglen’s successor as Primus, Herbert James Monzani Heard (Mar Jacobus) (1866-1947), who was unsympathetic to Protestantism, had separated the FPEC from his other jurisdictions when in 1939 he had consecrated Hall and appointed him Primus in his stead. Hall, perhaps surprisingly for a clergyman of the FPEC, was an Anglo-Catholic in his churchmanship. The FPEC did not prosper, and by the late 1940s its continued existence appeared precarious. Hall persuaded Boltwood to join the FPEC as well as maintaining his status within the Catholicate of the West, and on 3 May 1951 he was formally admitted to the FPEC, also being ordained and consecrated conditionally by Hall. 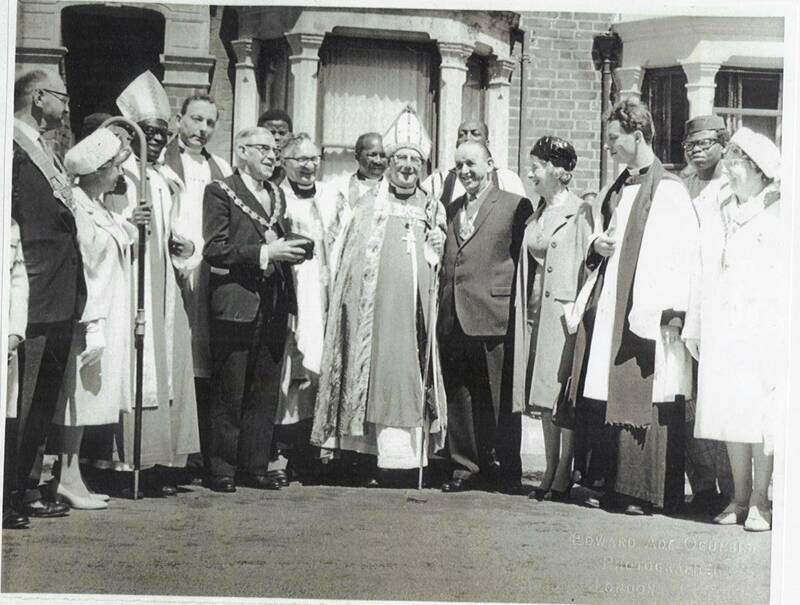 On 25 March 1954, he was appointed Hall’s successor as Primus, since Hall was then undergoing surgery for cancer, and St Andrew’s Church, Tottenham, together with the Nazarene College, was transferred to his charge. He succeeded Hall on his death in 1959. Between 1956 and 1960, the FPEC was formally affiliated with the work of Mar Georgius in the United Orthodox Catholic Church, and Mar Georgius had free use of St Andrew’s during that period, with one of his priests celebrating the Glastonbury Rite there on a Sunday morning while Boltwood took the evening service. The formal links were abandoned in October 1960, although there continued to be some interchange between the jurisdictions. 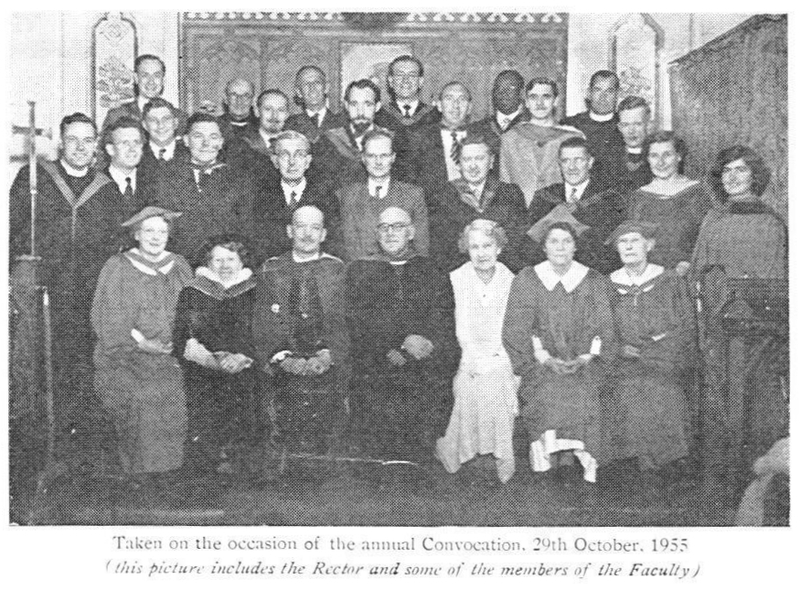 Boltwood renamed the church St Andrew’s Collegiate Church and on 5 July 1955 incorporated St Andrew’s Correspondence College (Tottenham) Ltd., with which the Nazarene College was merged and which ran alongside the (International) Free Protestant Episcopal University (which was stated to have been founded in 1898 by the three founders of the FPEC) and the James Martin Bible College. This became a busy degree-granting entity, training many who could not at that time afford a conventional university education, as well as those who wished to study non-traditional disciplines that were not taught in the university sector. Boltwood would write of the College in 1964 that it had “embodied in its studies the light of divine intelligence, thus has provided more than the aspects of physiology, psychology, sociology, philosophy, theology, etc., because these sciences alone are incapable of solving even the simplest of our human problems.” The “Research Interpreter” served as the journal of record of these bodies and Miss Connie Godden served as treasurer and registrar for them. She would, in due course, become the second Mrs Boltwood. 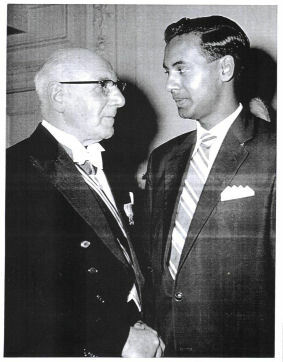 Involved from the 1950s were the late Bishop Frederick Charles King, who served as Vice-Chancellor of the San Luigi Orders until his death in 1985, and his wife Karla. From 1958 onwards, when he first toured the United States, Boltwood began to expand the FPEC (also known by then as the Ecumenical Church Foundation) overseas, undertaking frequent travel abroad and consecrating a number of bishops for service in Europe, Africa and the Americas. His wife also travelled independently as part of the overseas missions. Although this work was prolific in building up what on paper was a substantial organization, in practice the affiliation of ministers who were already serving in other denominations did not result in substantial adherance and growth for the FPEC itself. The Tottenham church building had for some years established a fund for its repair and upkeep, but this failed to achieve its aims. Moreover, Boltwood’s health was failing, and he was compelled to lay aside some of his responsibilities on medical advice. 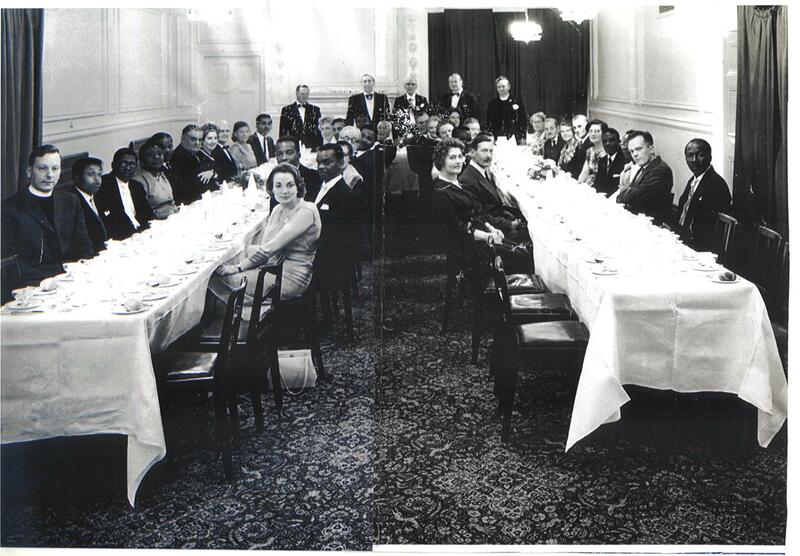 In 1966, the final Convocation at the Bonnington Hotel was held, and the Research Foundation closed down, their records being lodged at Somerset House. 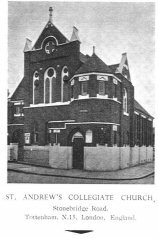 The following year, St Andrew’s was sold to the Church of God, a Pentecostal group, and was eventually demolished in 1985 as part of a housing redevelopment. 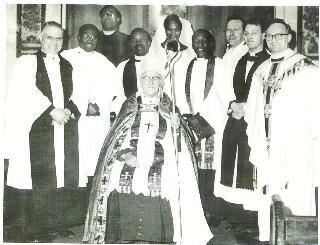 Boltwood retired to St Leonard’s-on-Sea, eventually resigning as Primus in favour of his American bishop Albert J. Fuge, Sr., on 17 October 1978. 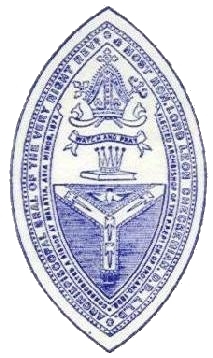 The FPEC continued a very limited operation in London under Bishop Dr. Francis Thomas until the 1980s, and the International Free Protestant Episcopal University continued to confer some degrees during the 1970s. Boltwood was extremely active in chivalric affairs, and received many honorary awards through his long career. He was admitted to the Order of the Crown of Thorns under Prince-Abbot Edmond I, though his relationship with the Grand Priory of England and Wales did not continue beyond the appointment of Mgr. Tull as Grand Prior in 1960.